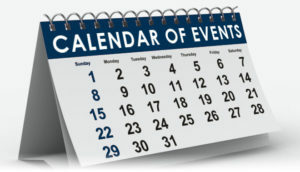 The office of the registrar at Solusi University has released a revised calendar of events after the government of Zimbabwe announced the closing of the schools. A letter from the Ministry of Primary and Secondary education dated 12 June, 2018 indicated that schools will close for second term on Thursday 26 July, 2018. This has been necessitated by the proclamation of the 2018 harmonized elections that are scheduled for July 30, 2018. The Solusi calendar of events stands as follows for the rest of the semester. Mid-Semester break has been cancelled. Final Examinations will be written as from July 22 – 26, 2018. The Voluntary Week of Spiritual Emphasis remains as it had been scheduled, i.e., June 17 – 23, 2018. The assistant Registrar for admissions Pastor Amos Ndlovu apologized to the Solusi community and its stakeholders for any inconveniences caused by these changes.